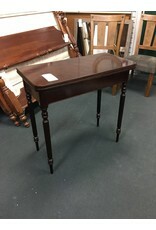 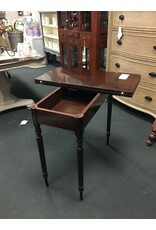 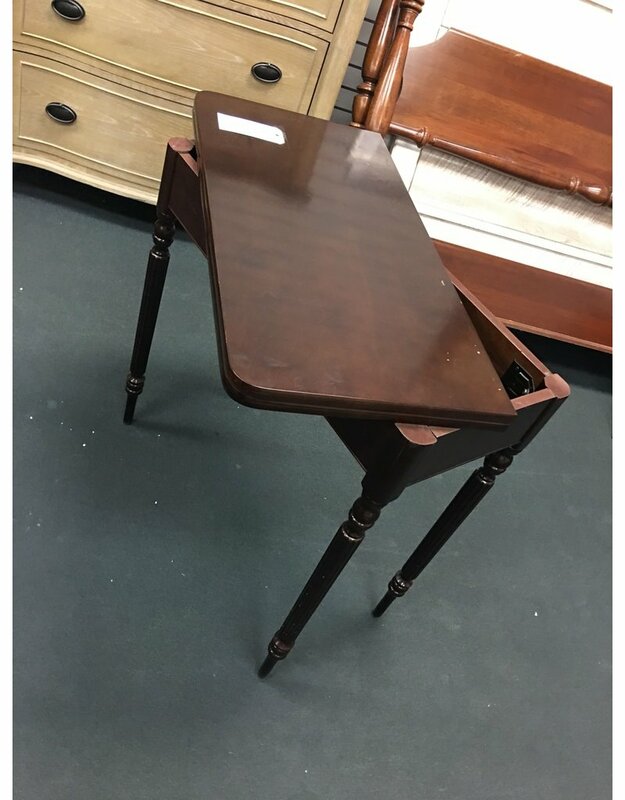 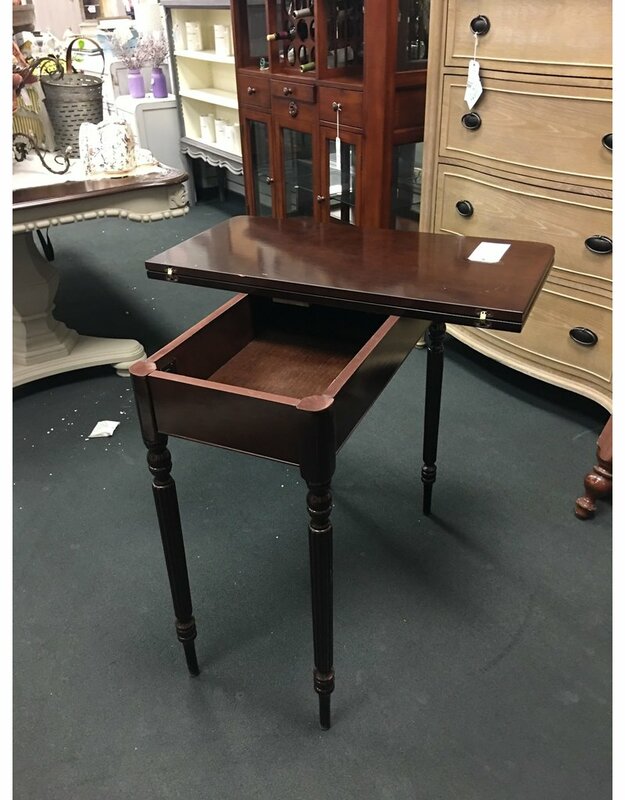 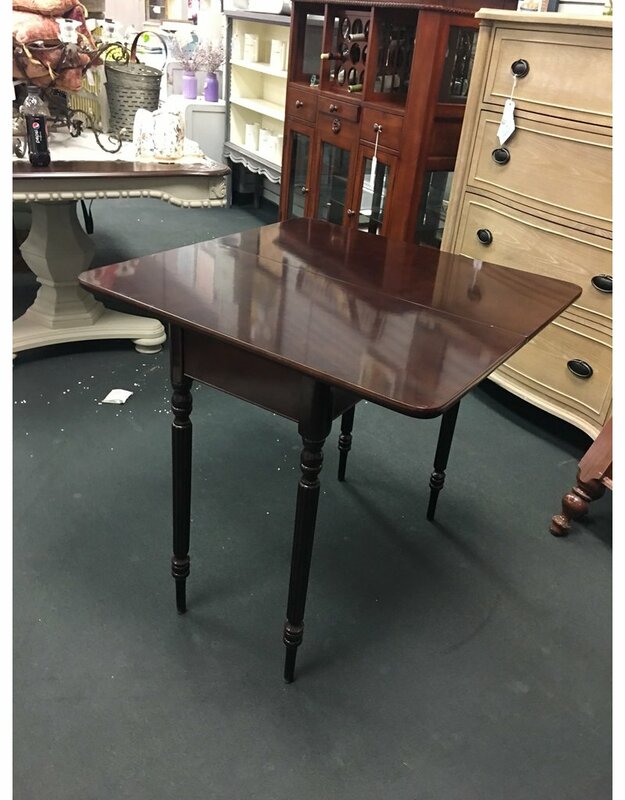 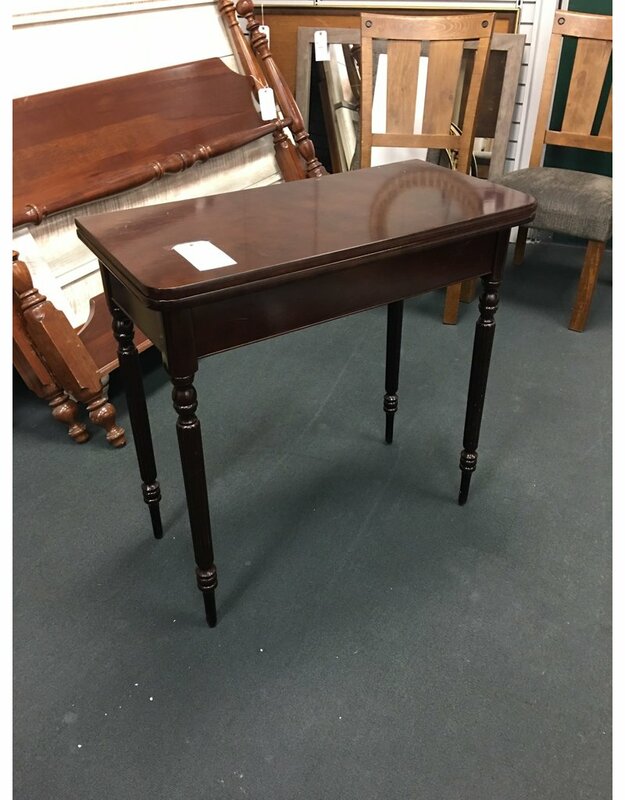 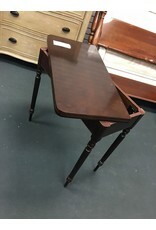 Used dark stained small console table that easily transforms into a game table with a simple twist and flip of the table top. 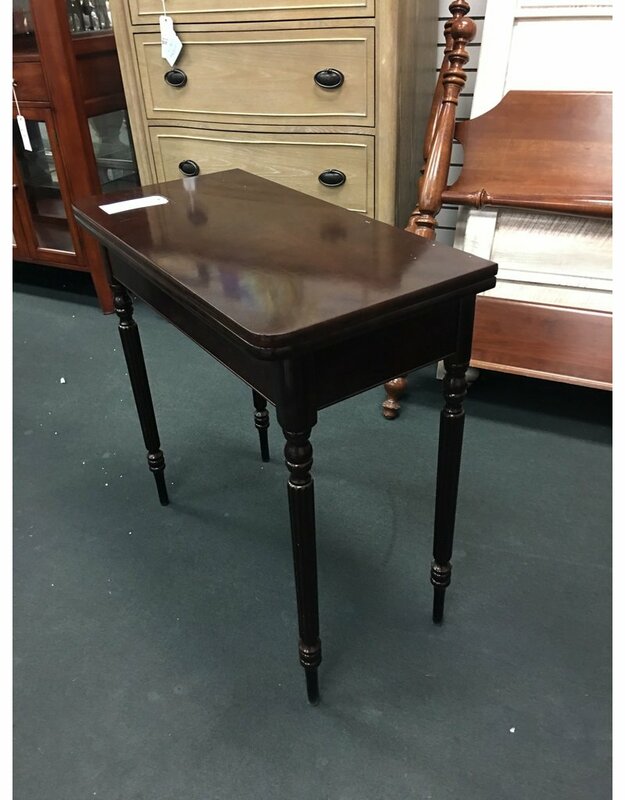 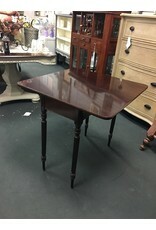 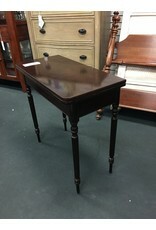 Table features storage area in the base, accessible by turning the table top, as well as turned, reeded legs. 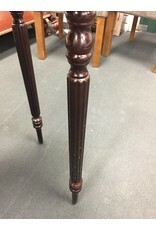 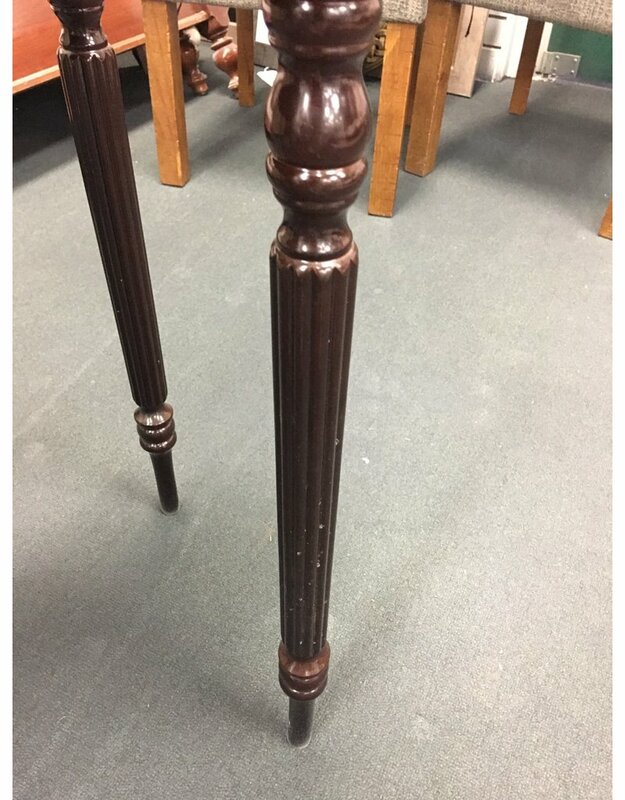 Some surface wear on table top as to be expected with age.